It was A-Level results day and the day I found out if I had got onto the university course that I had applied for, when the feeling of dread set in. Dread, that was because I may have actually got the grades I needed to go, when in fact I just wasn’t sure I wanted to anymore. I’d spent two years of college life, floating through, not really sure what I wanted to pursue. I was pushed towards something more specific, more ‘vocational’ they said; Sport Event Management. After two years of A Level PE, and multiple years of being ‘sporty’ in general, I’d decided that it just wasn’t for me anymore. As it happens, I did get the grades I needed and actually did better than I had imagined I could, coming out with two B’s and a C in Business, PE and Geography. Telling my parents I didn’t want to study my course anymore was a relief, they already had a feeling I was having doubts so were 100% supportive. Instead, I took a year out and worked at my part time job, meanwhile applying for the broadest degree I could think of. Just over a year later, I went to University of Chester to study Business and Marketing. 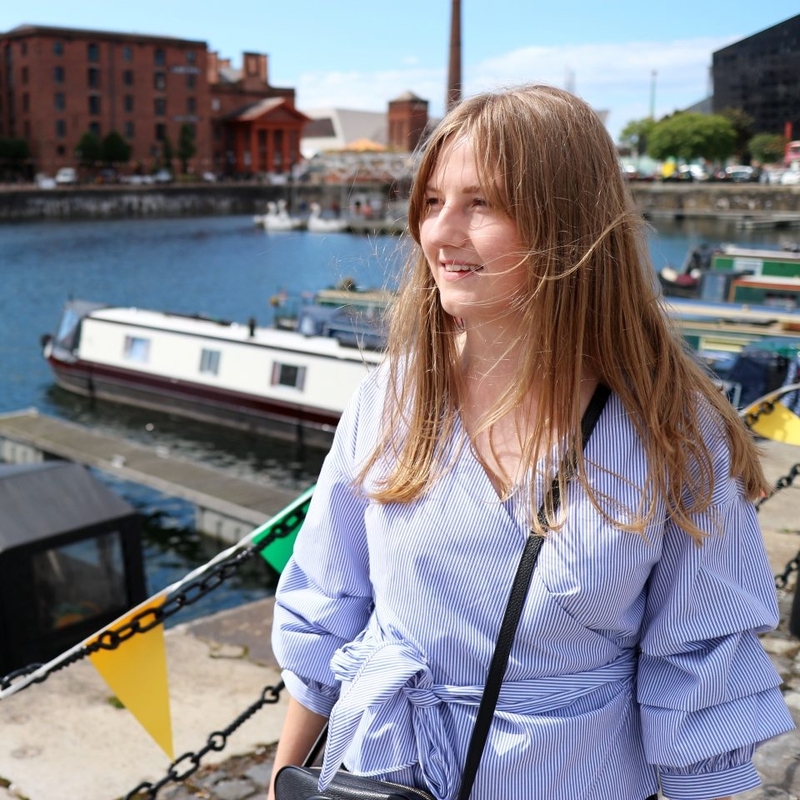 I spent three years studying anything from Business Law and Accounting to Strategic Marketing and Digital Communications, and between my second and third year landed a summer placement for just over a month at a Creative Digital Agency, specialising in Web Design and Branding. As the five weeks were coming to a close, I was asked to stay on until I went back to study, and ended up working there for five months. It was a challenging, but fantastic experience, working across a multitude of clients in different industries and I knew then that the agency life was for me. While I didn’t have the same experience at university as others, in that I didn’t absolutely love every aspect of student life, I stuck it out and managed to achieve a First Class Honours degree. As I was struggling through my retail job while on the hunt for something more permanent, on the off chance, I came by a network digital agency a couple of months after finishing my course. I didn’t even check to see if they had any job openings, and instead wrote a tailored cover letter, spruced up my CV and sent across asking for some work experience or if they had any openings. Not sure of who I should send it to, I sent it straight to one of the founders of the company, and thankfully they were impressed enough to send straight to the recruitment team. A month later (and four interviews) I started my position as a PPC Account Executive. Despite having no experience in PPC, I worked hard, learnt a ridiculous amount over the next few months alongside a very supportive team, and worked my way through to an Account Manager, managing four of my own retail clients, from smaller brands to larger international retailers in multiple markets, and two months ago, after only two and a half years in the business, I was promoted to a Senior PPC Account Manager, managing and training my own team, leading strategy plans for our clients and managing client relationships. It’s been a very challenging but very rewarding role, and I couldn’t have got where I am without the fabulous people that I have worked with; they have put up with numerous questions, have pushed me out of my comfort zone and helped me to increase my confidence massively. I’m fortunate to work in a company where I am able to challenge the norm, question the processes in place and really make my voice heard. For example, we recently had new policies put in place, and during a team meeting I challenged one I didn’t agree with, and it was changed there and then because I made a strong case. I’m aware that this isn’t always possible in all companies, but when there’s opportunity, my advice is to take it, make your opinion heard because it can make not only your working life better, but also for your colleagues. If there isn’t currently a forum for you to discuss internal processes or issues, make one, bring colleagues on your level together and discuss, to create consensus, which can then be put forward to the ‘powers above’. My other biggest piece of advice when looking for your next career move is to send a tailored cover letter and CV to the places you’d love to work, regardless of whether there is a job opening, it gets you noticed and who knows, they might just love to have you. I fell into my role and it definitely wasn’t where I expected my career to go when I thought about my future plans, but I’m so glad I took the chance. You can also follow Paige on Twitter and Instagram.